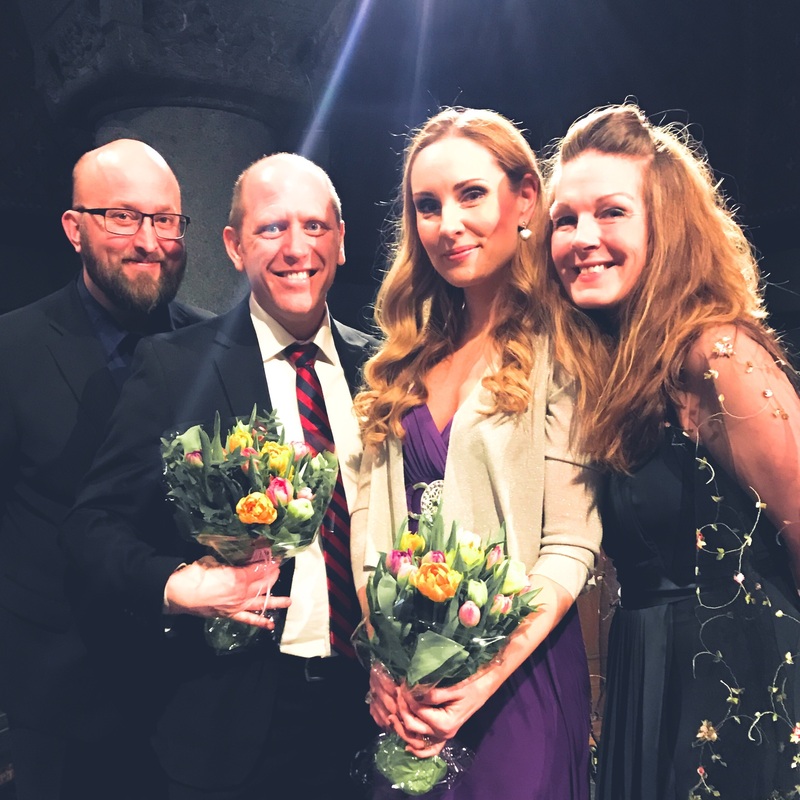 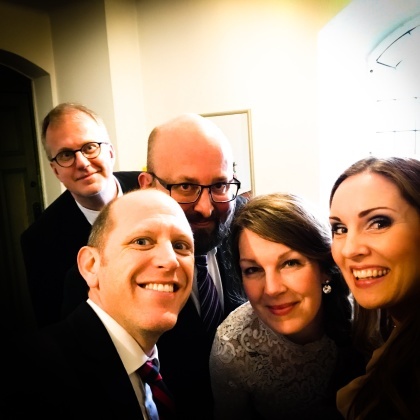 Johan Wållberg, Philip Sherman, Hannah Holgersson and Anna Zander Sand before concert at Breviks kyrka. 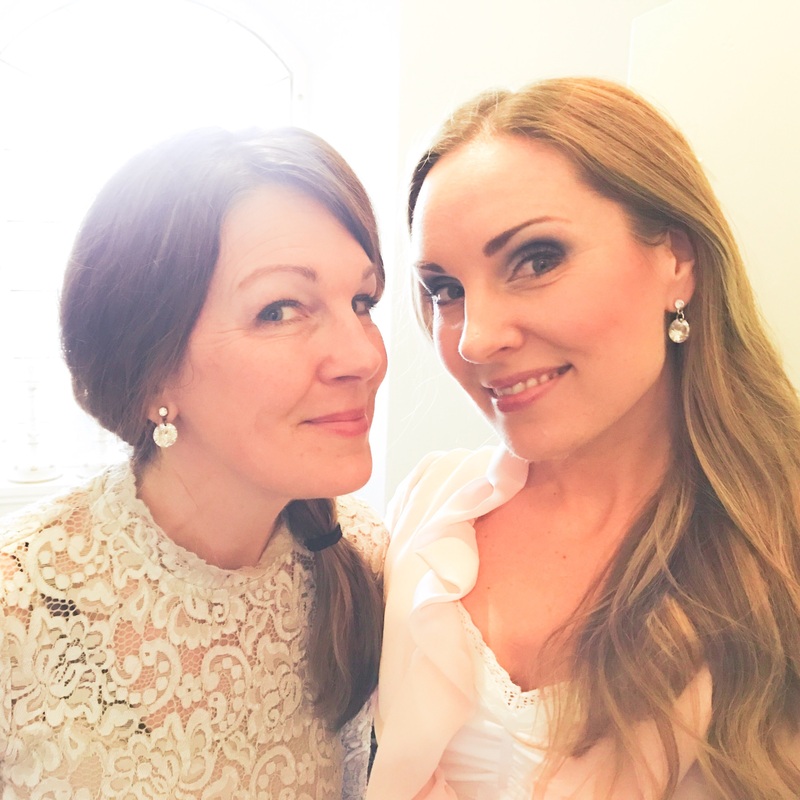 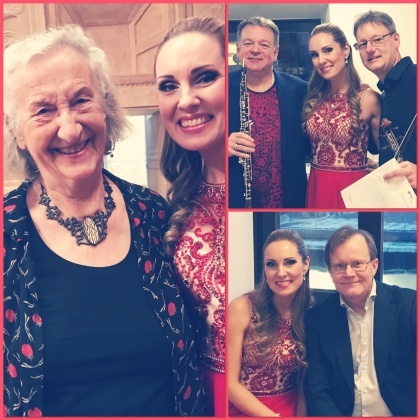 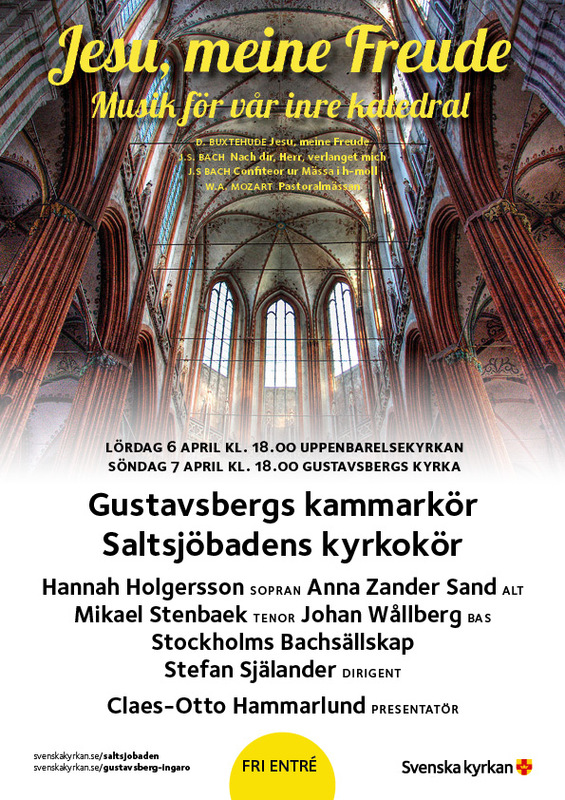 Last Sunday I was part of the final concert of three by the theme "Jesu meine Freude". This time the music by Buxtehude, Bach and Mozart was performed in Breviks kyrka, Lidingö, by Lidingö kyrkokör, conductor Stefan Själander, Stockholms Bachsällskap, Anna Zander Sand (alto), Philip Sherman (tenor), Johan Wållberg (bass), Claes-Otto Hammarlund (presenter) and me Hannah Holgersson (soprano).